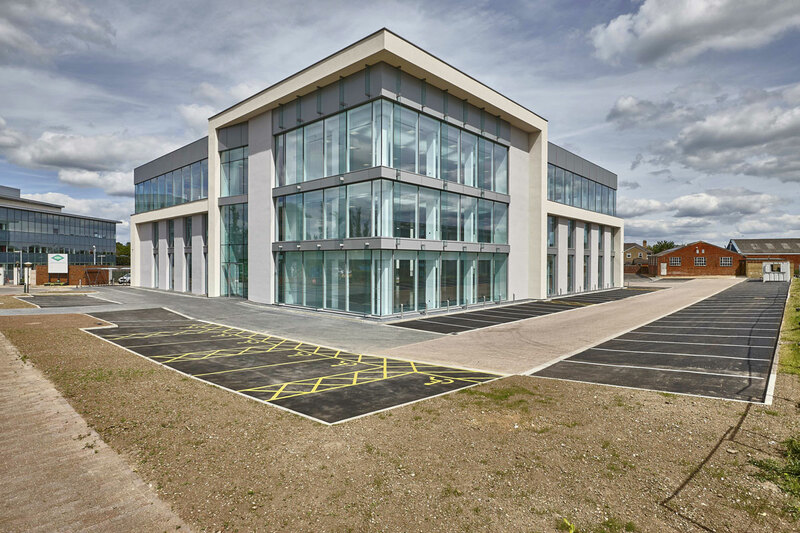 ID Maidenhead is a redevelopment on Vanwall Business Park on the outskirts of Maidenhead, Berkshire. 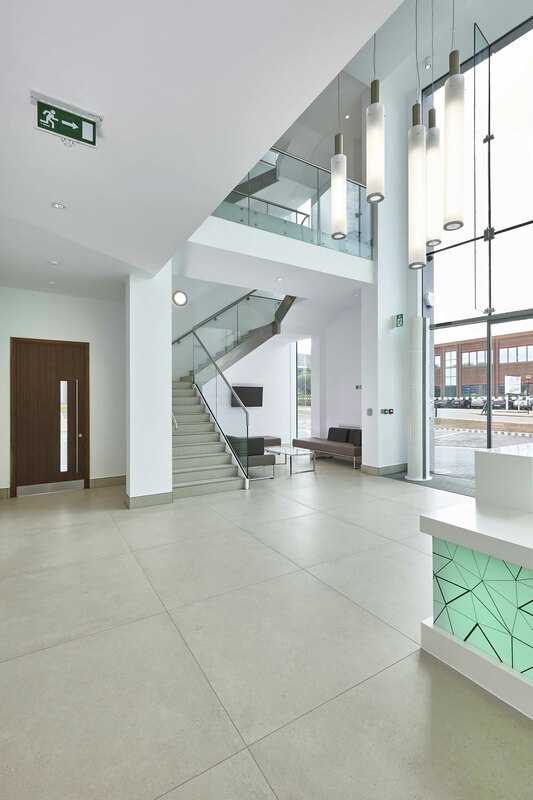 The refurbishment has created a striking building façade providing 37,000 sq ft of accommodation over three floors. 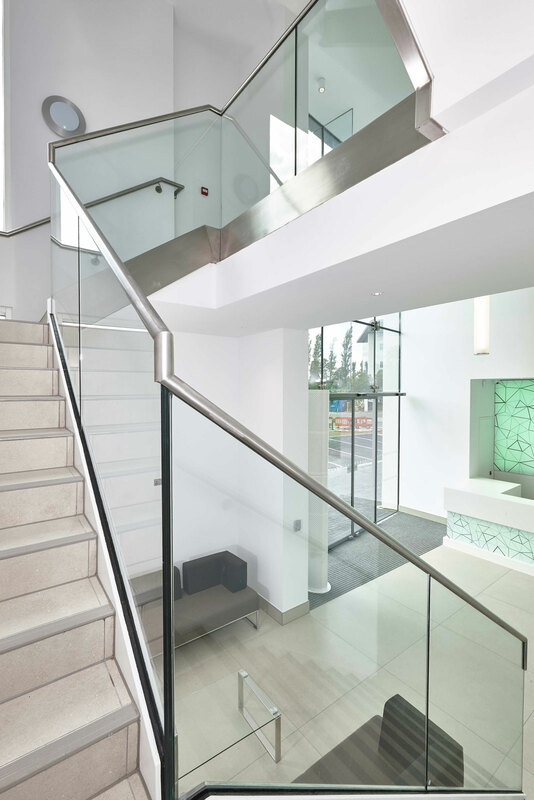 The new double height reception has an attractive green glass backlit reception counter and suspended lighting feature. 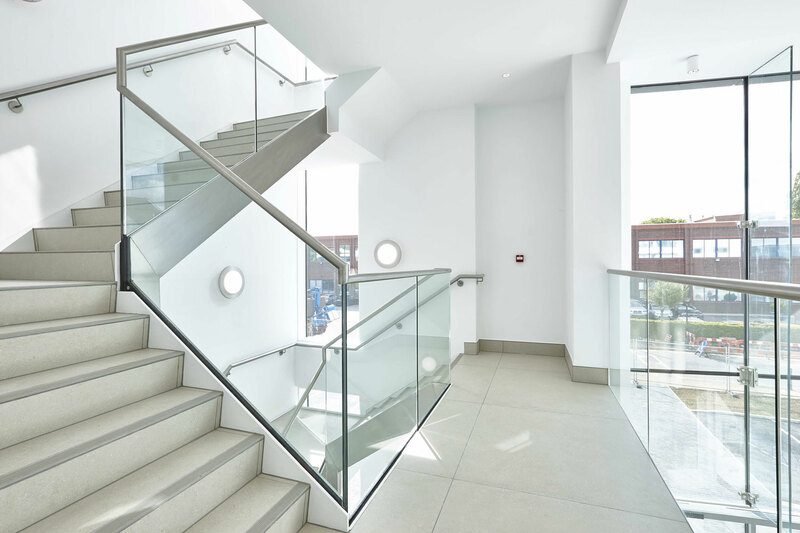 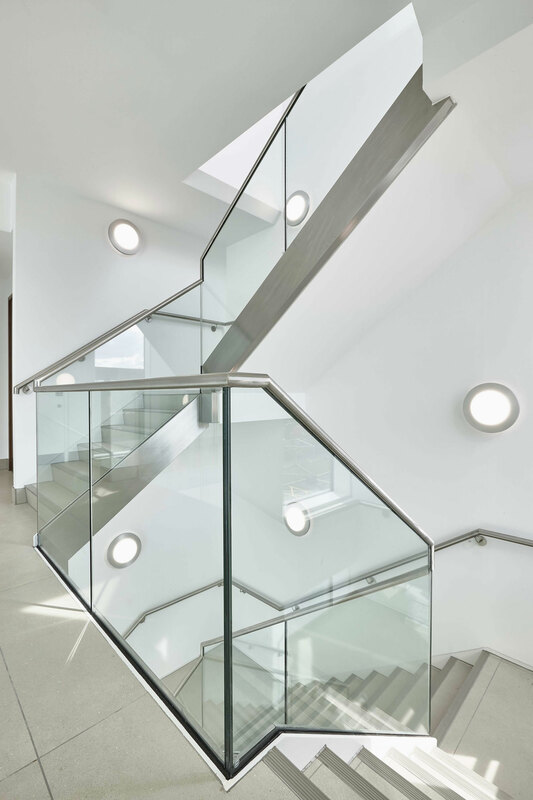 The stainless steel and glass stairwell maximises the light introduced by the full height glazing. 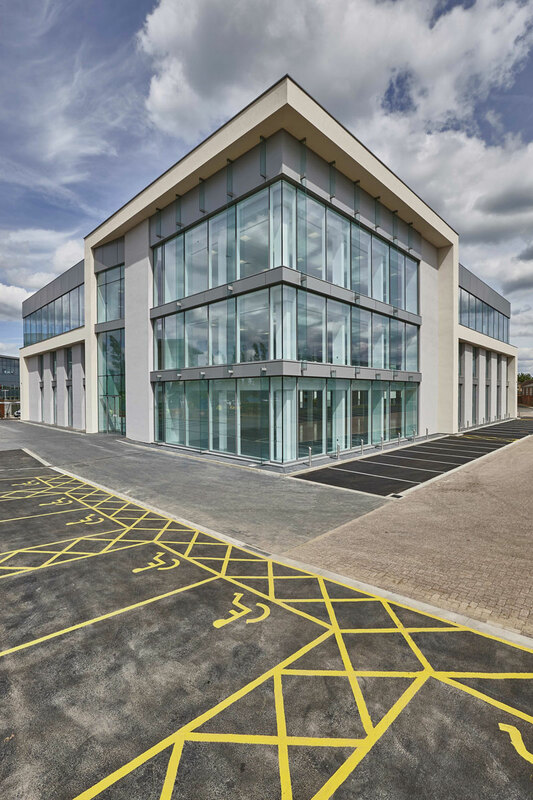 The new ID Maidenhead is a re-imaging, enlargement and modernisation by Trehearne Architects of the former Toys R Us headquarters. 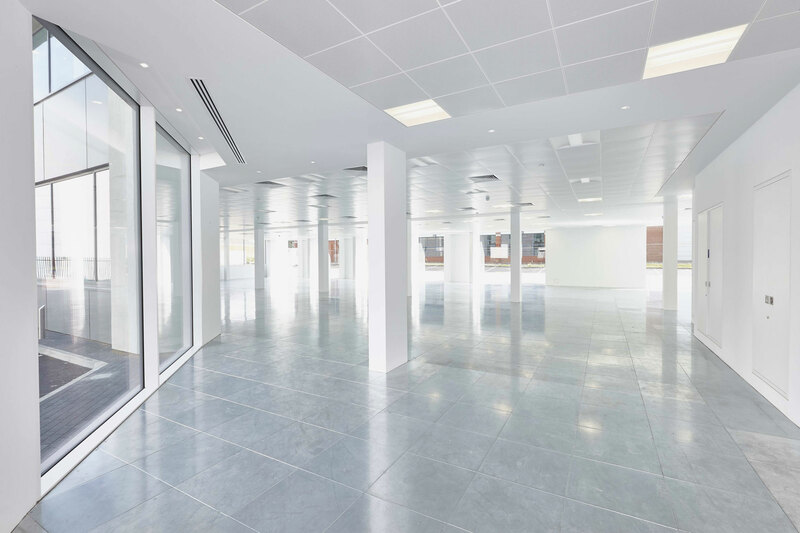 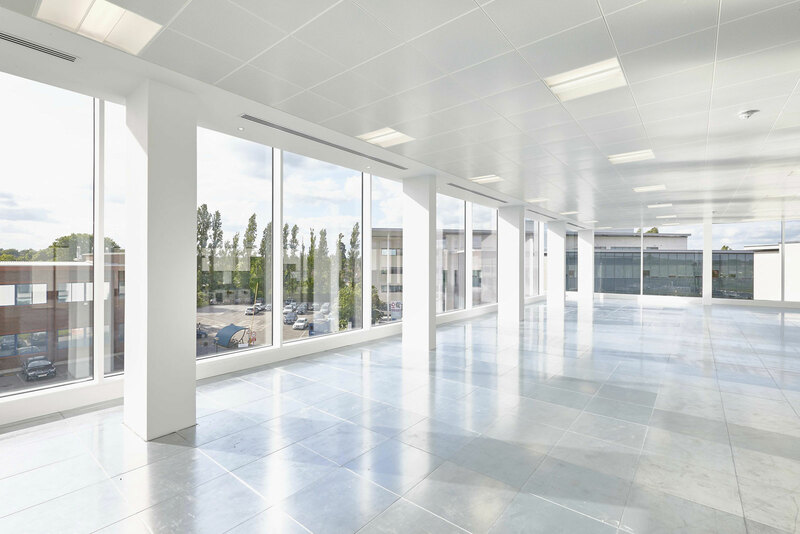 The new building offers Grade-A office space of the same standard as a new-build development. 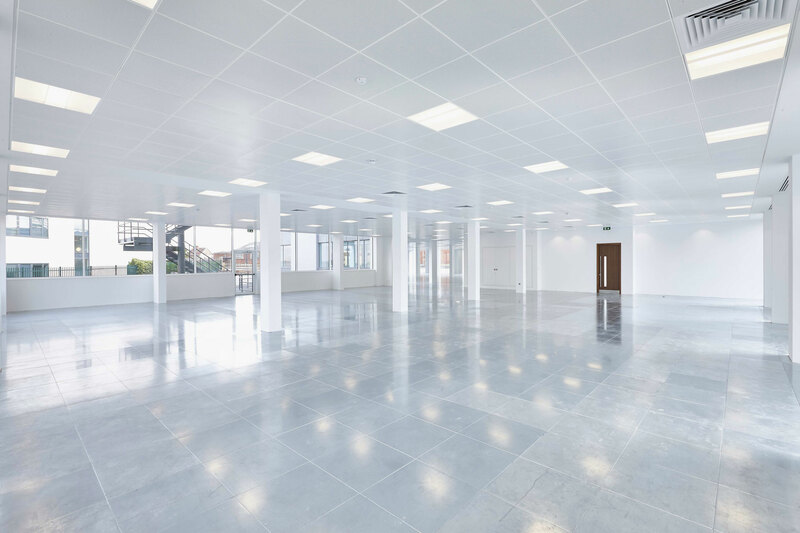 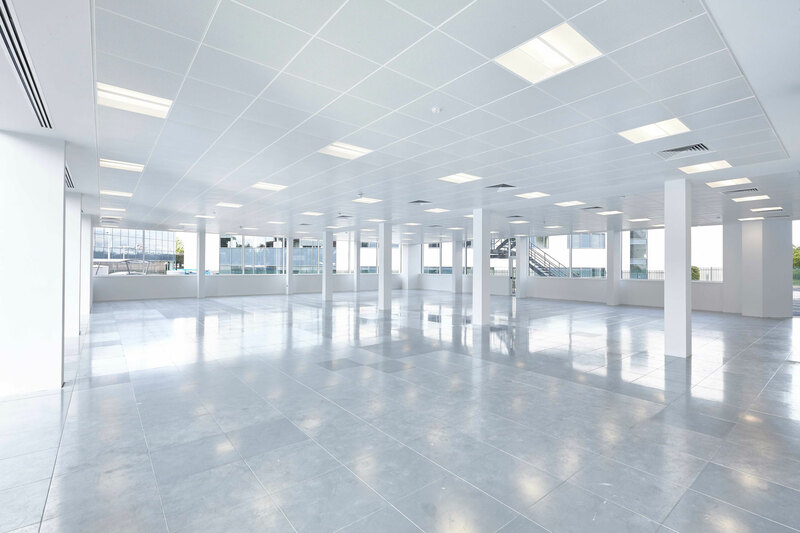 The old building was stripped back to it’s stuctural frame and modernised with raised plate flooring throughout to increase the net lettable area by 35%. 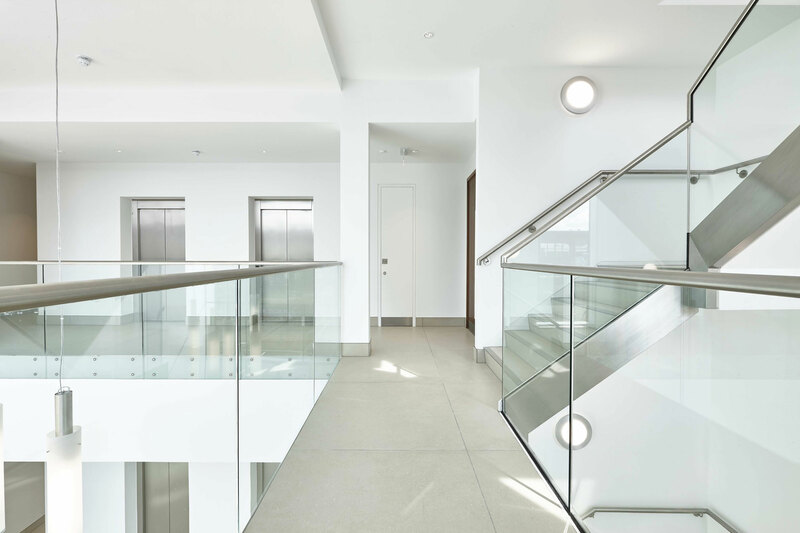 John Paul Construction carried out the work for Mercer Real Estate Partners.